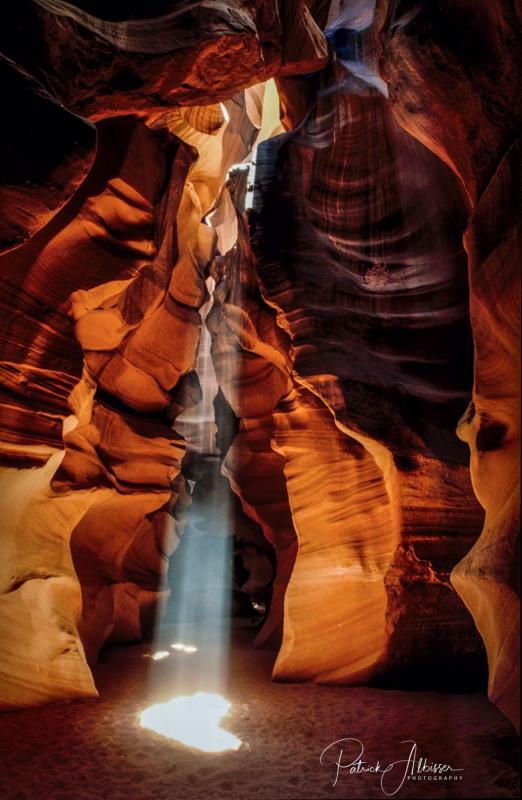 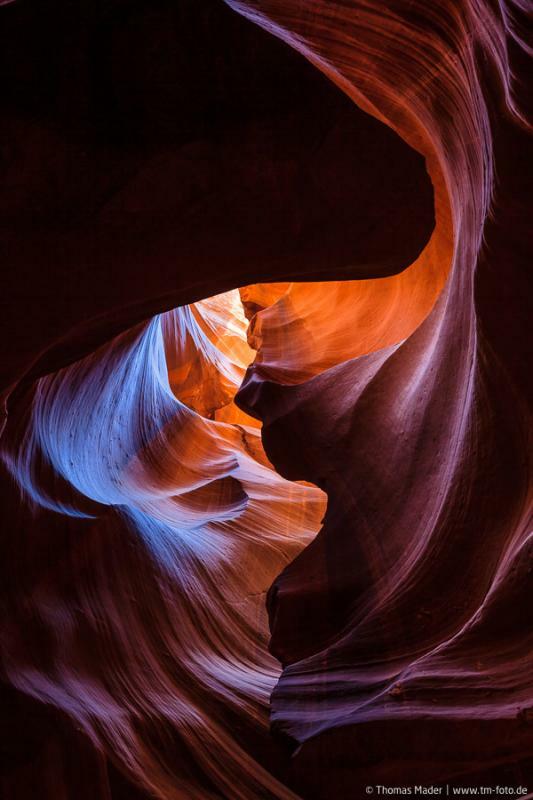 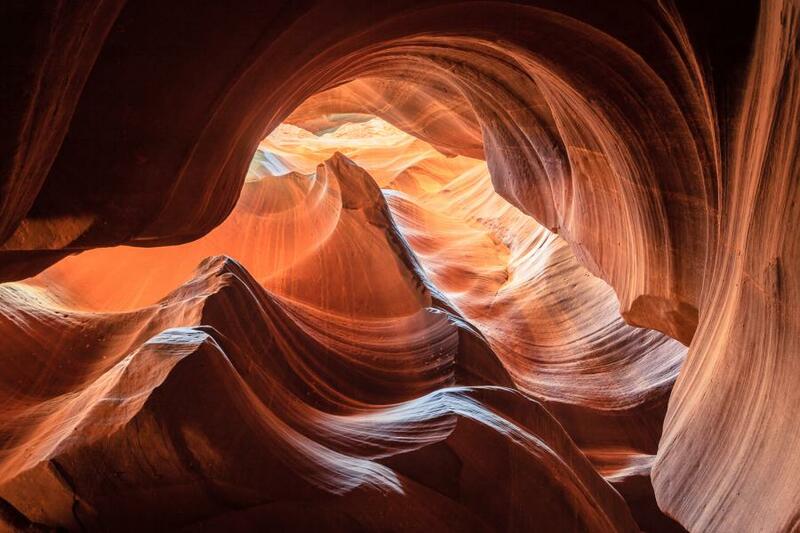 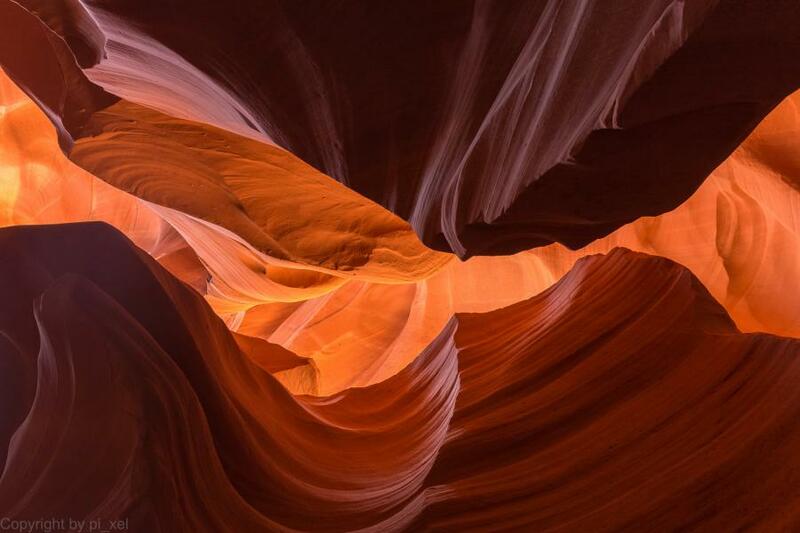 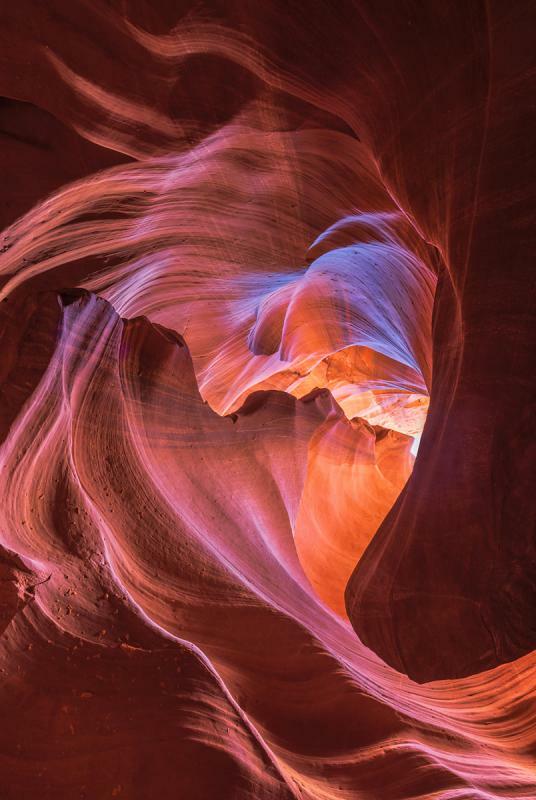 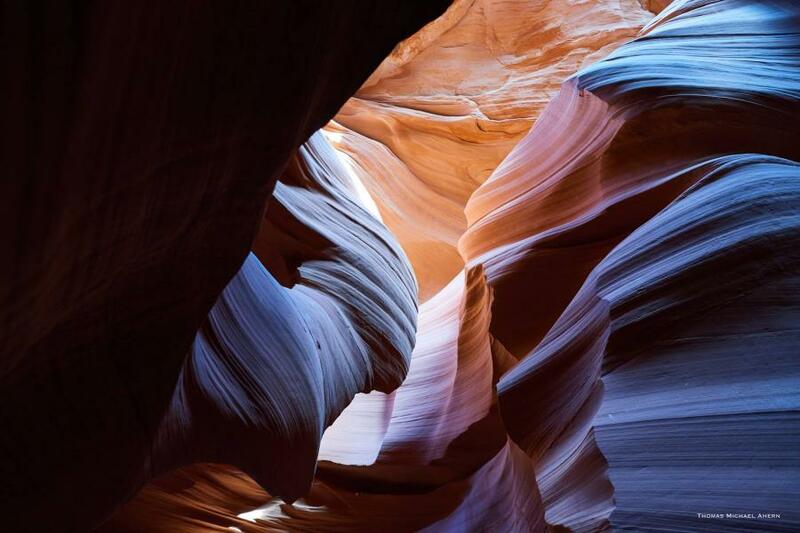 The Antelope Canyon near Page in Arizona is the most visited slot canyon in the south west of the USA and therefor one of the most famous themes for photographers in the United States. 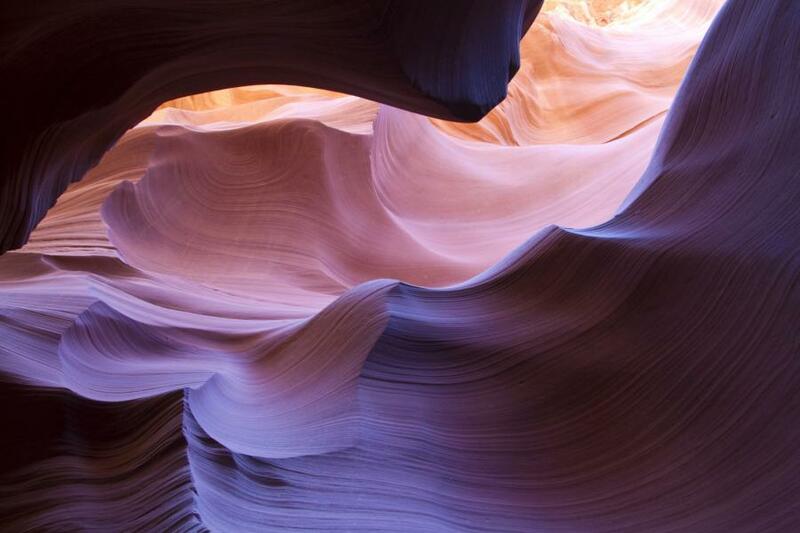 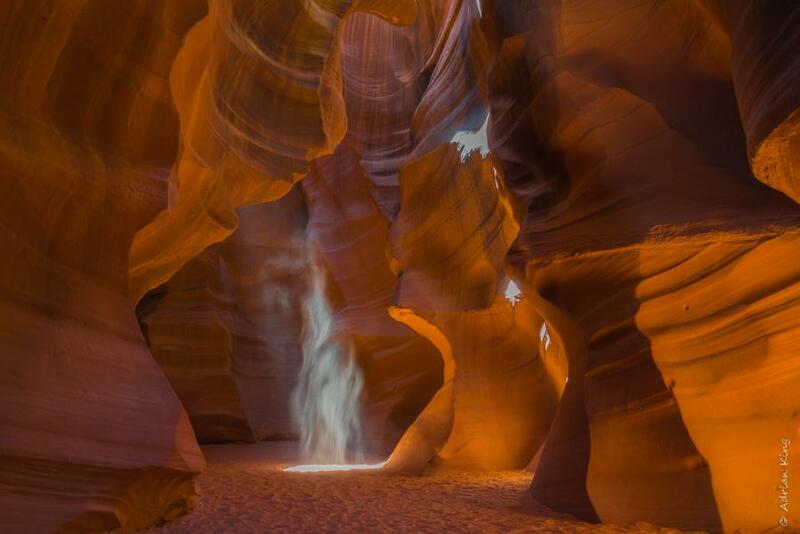 The canyon is separeted into the Upper Antelope Canyon and the Lower Antelope Canyon. 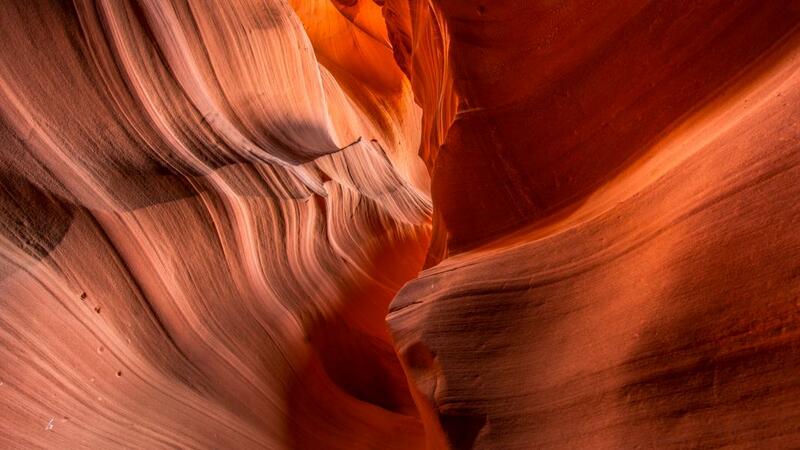 Both got built by the Antelope Creek, an about 30 km long river which is only filled with water after heavy rain. 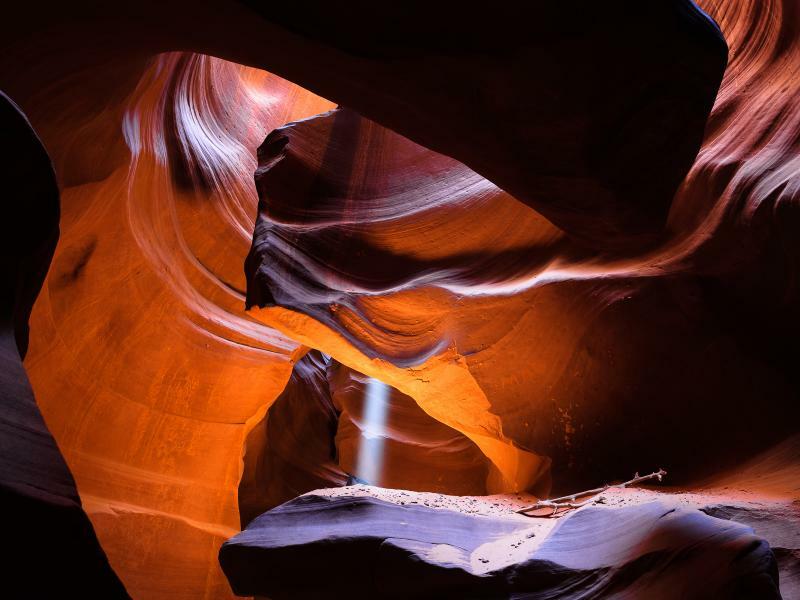 Most of the time both parts of the canyon are dry and you can easily access it, with exception to long rain periods when the ravine is in danger of collapsing. 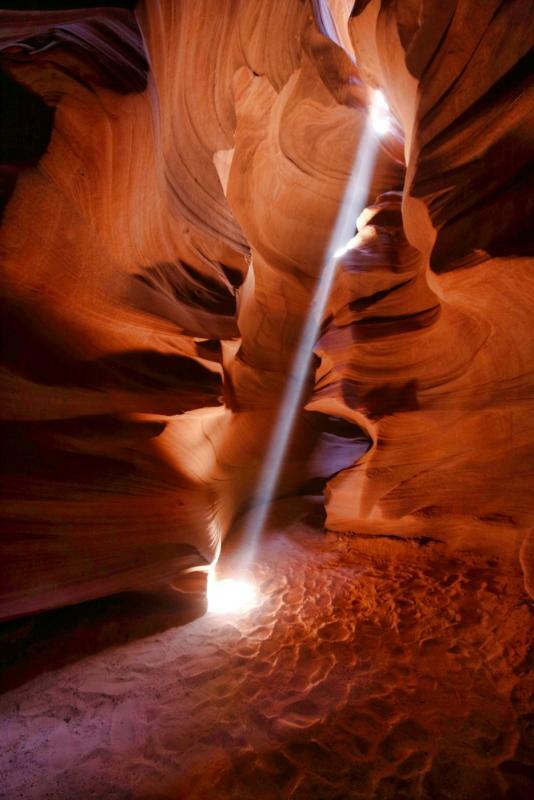 There is also a part in the north which is flooded by Lake Powell and as a result only accessible by a boat. 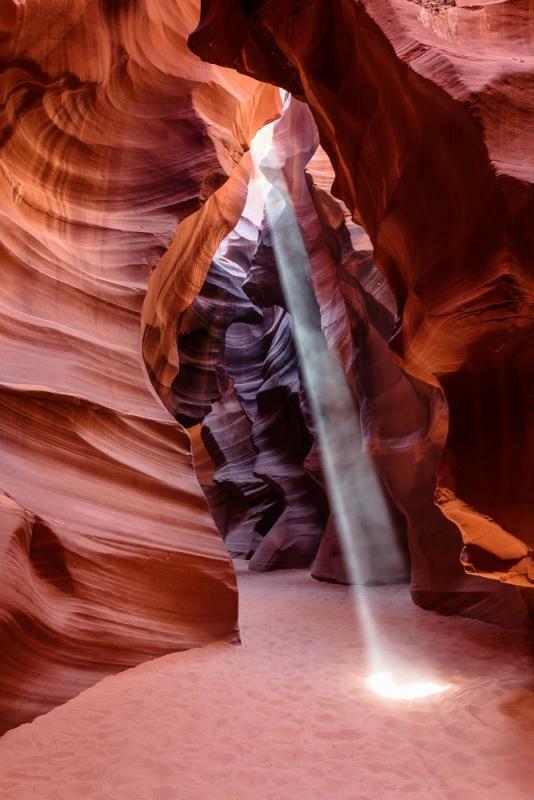 Impressive light conditions make this visit very worthy especially during the later afternoon.